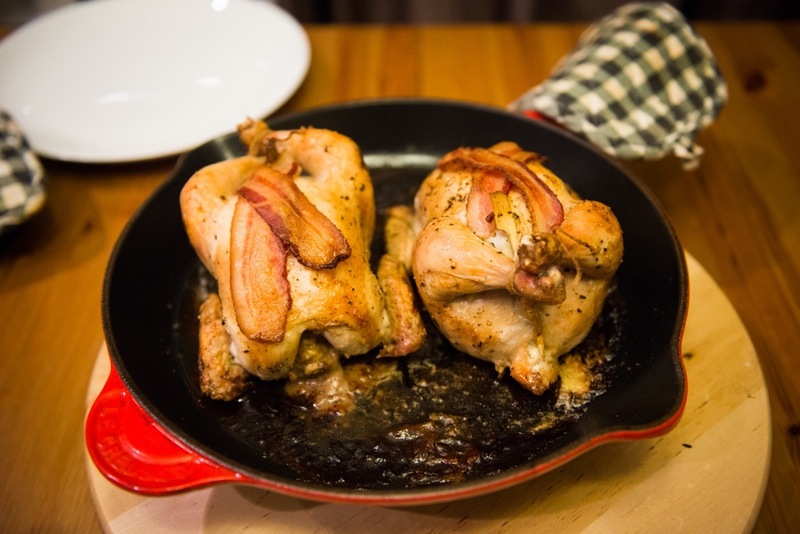 Cornish game hens are a great substitute for Turkey on thanksgiving. 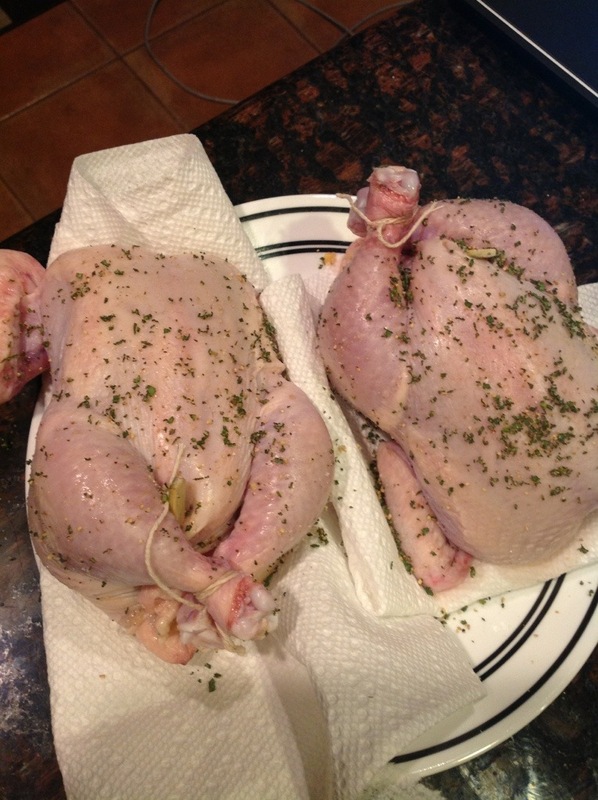 I made these stuffed hens because I didn’t want to make a whole turkey just for the two of us. 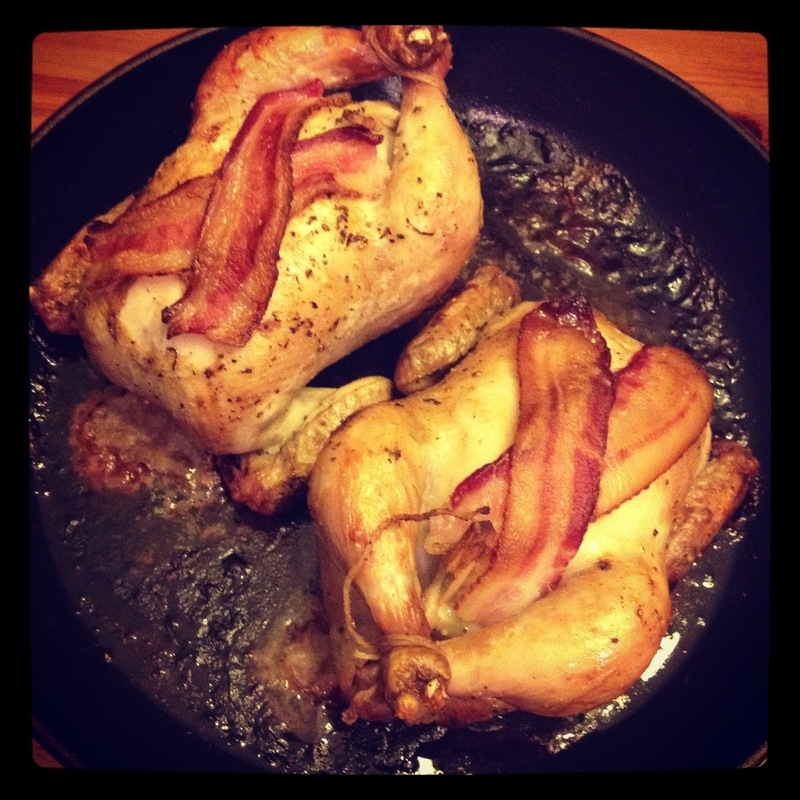 After trying this recipe, I may make these hens for thanksgiving again for a bigger crowd. The hens are stuffed with home made or store bought corn bread, covered with bacon slices, pan roasted, then oven roasted until done. 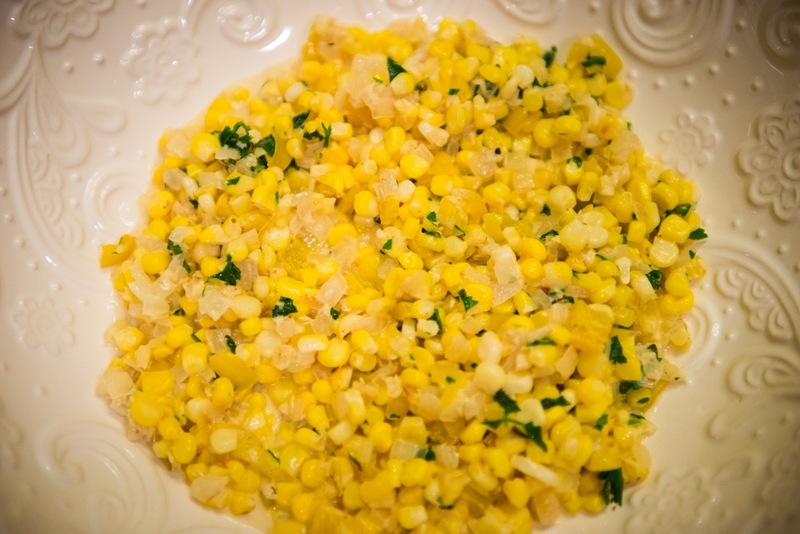 They are served with a Louisiana style corn succotash, called maque choux, made with fresh corn and cream. 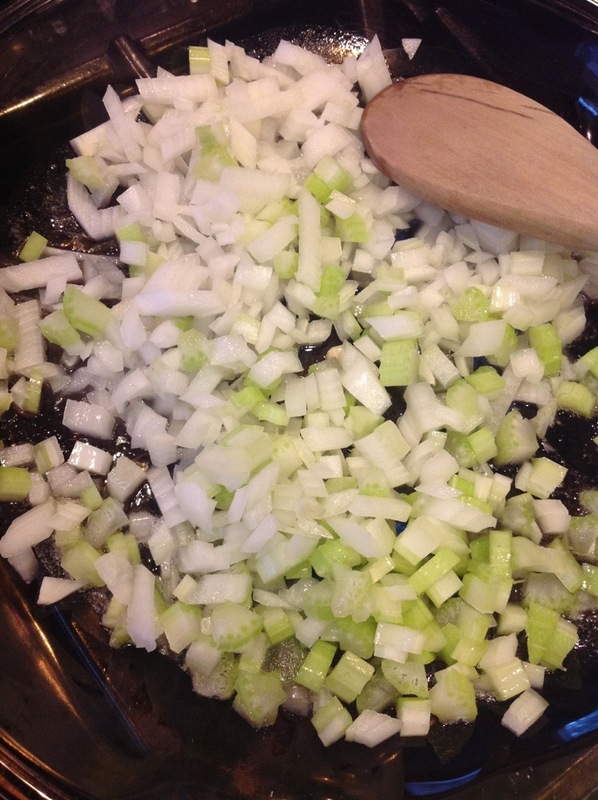 To prepare the stuffing for the game hens, sauté chopped onion and celery in a heavy bottomed pan with some butter until the vegetables starts to brown. 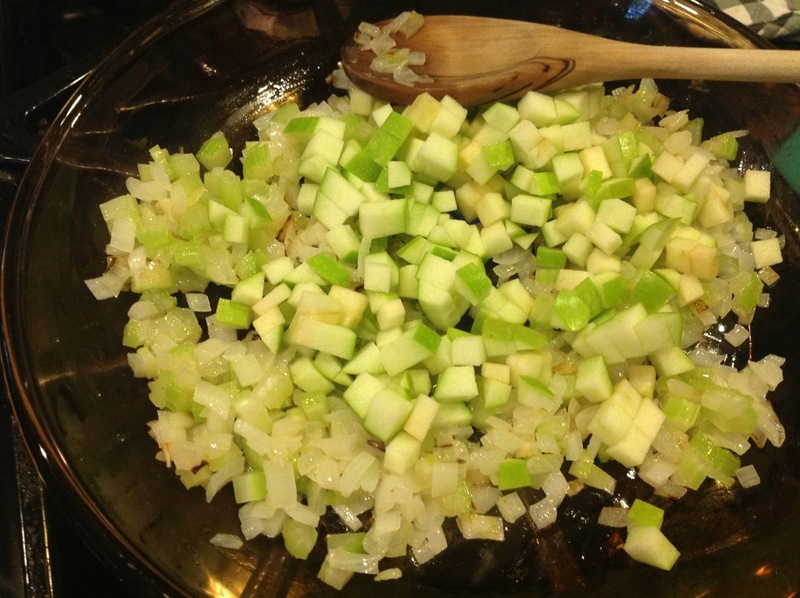 Add chopped apples to the pan and sauté until they begin to soften. Stir in salt, pepper, and chopped sage to the pan, and transfer to a bowl and let cool to room temperature. 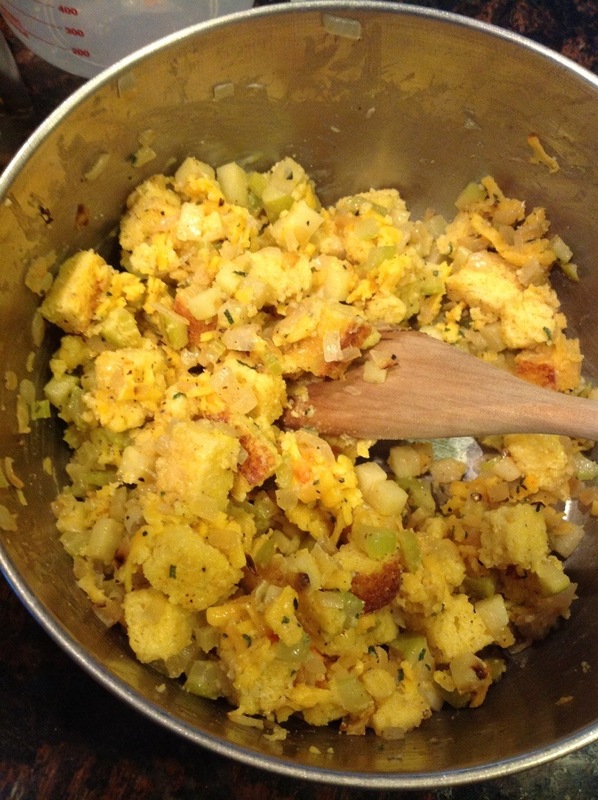 Mix in cubed corns bread into the cooled vegetables, and gently stir in a beaten egg along with grated cheddar cheese. Add enough apple cider for the corn bread mixer to become moist but not soggy. 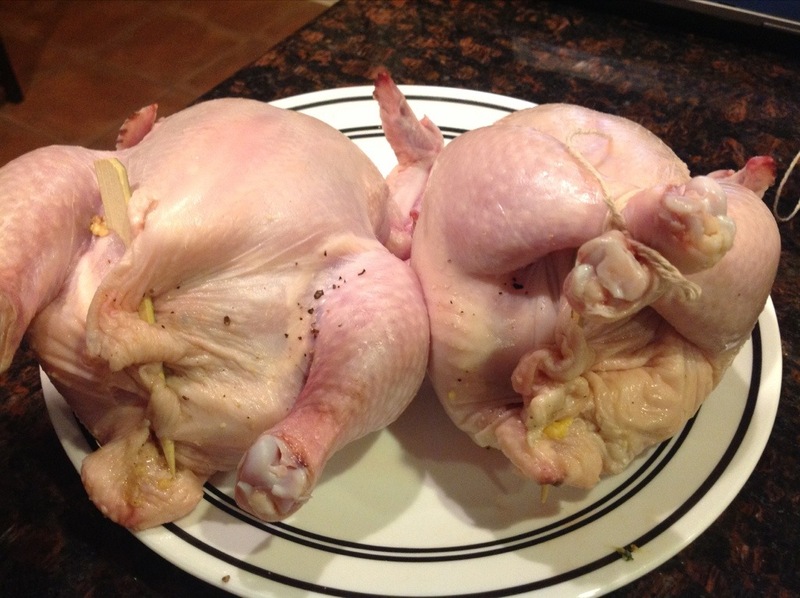 Wash and pat dry the hens, then season the cavities with salt and pepper. Stuff approximately 1 cup of the stuffing into the cavities. 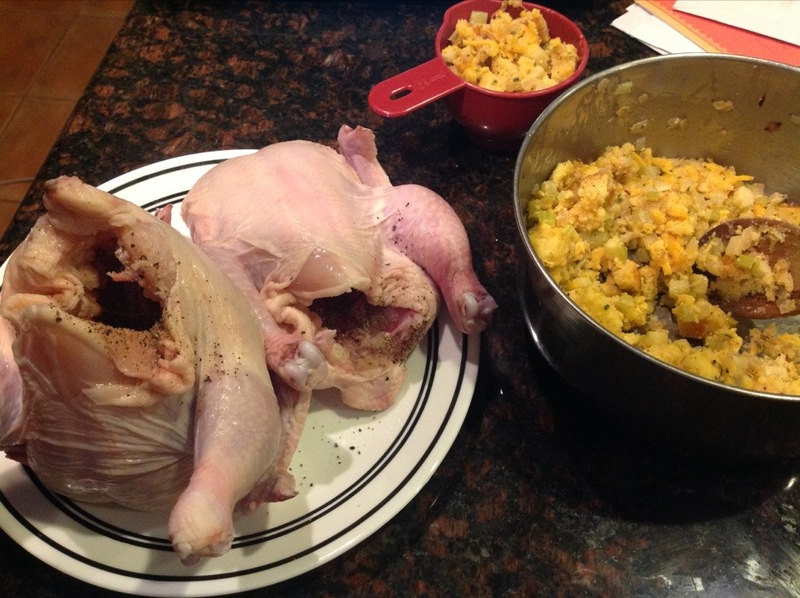 Do not to overstuff the hens, and put the remaining stuffing in a oiled baking dish, cover with foil. Close the cavities with a tooth pick or cocktail stick. Tie the drumsticks together and pin back the wings. Sprinkle chopped sage, salt, and pepper over the hens. Preheat the over to 400 degrees. 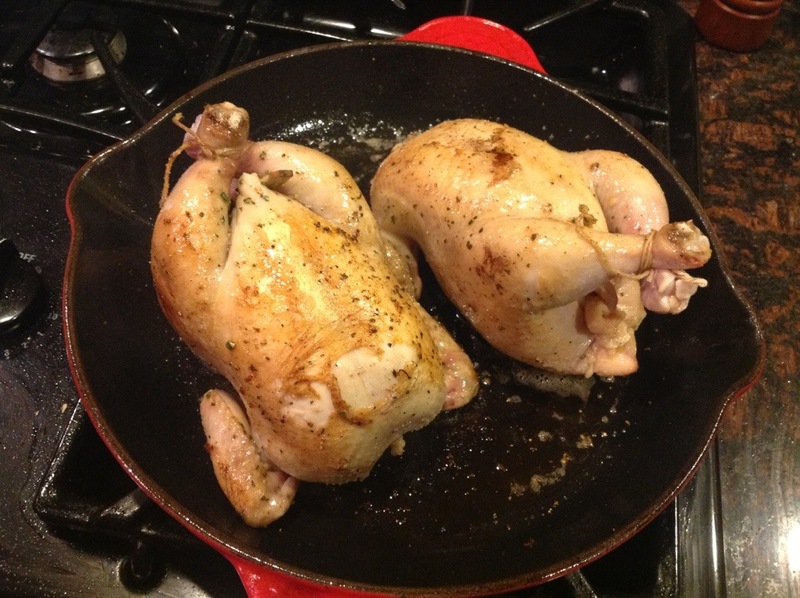 Brown the hens in a large, oven proof skillet with a couple of tablespoon of butter, over medium high heat. Turn often, but carefully, so not to break the delicate skin. 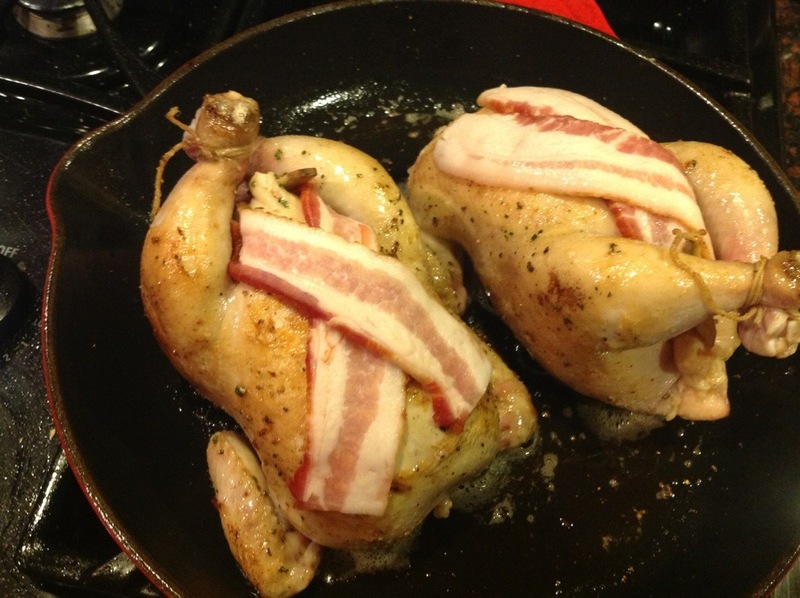 Place two halved slices of bacon over the breast of the browned hens, and roast in the oven for 45 minutes. After 15 minutes, place the left over stuffings in its baking dish into the oven and roast until done. 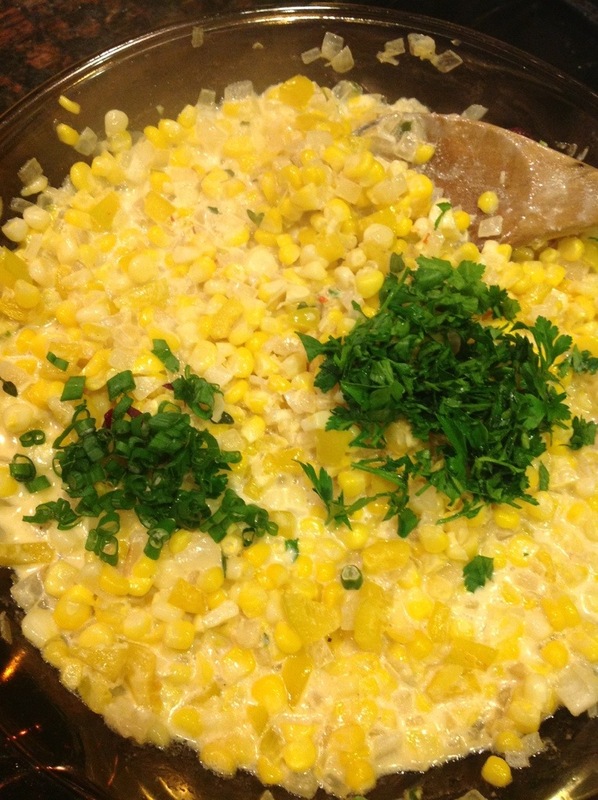 While the hen is roasting, you can make the corn maque choux. 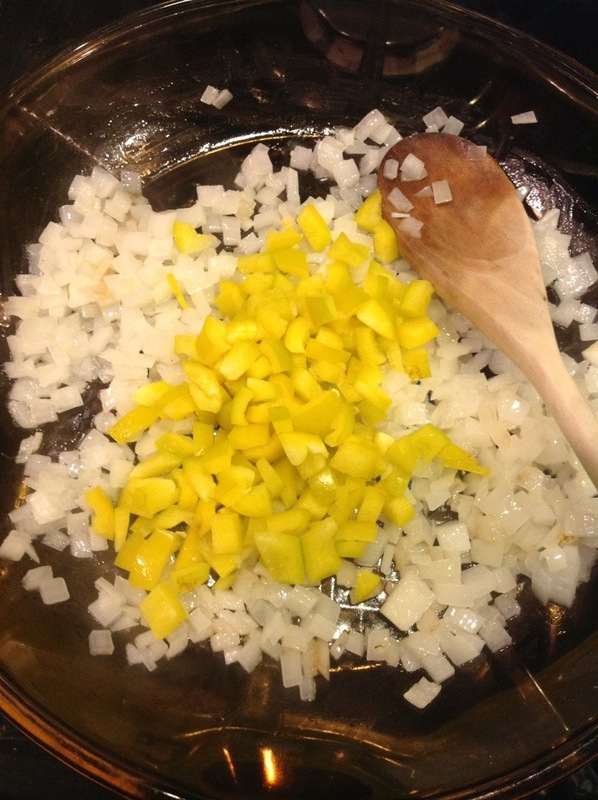 Sauté chopped onion in a skillet with some butter over medium high heat until translucent. Add the chopped peppers and cook until tender. 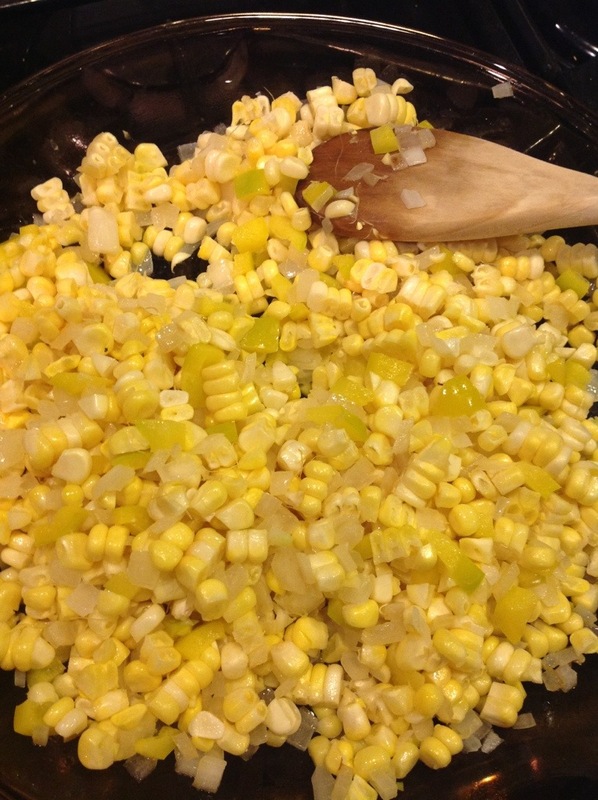 Add fresh corn kernels and cook for a couple of minutes. 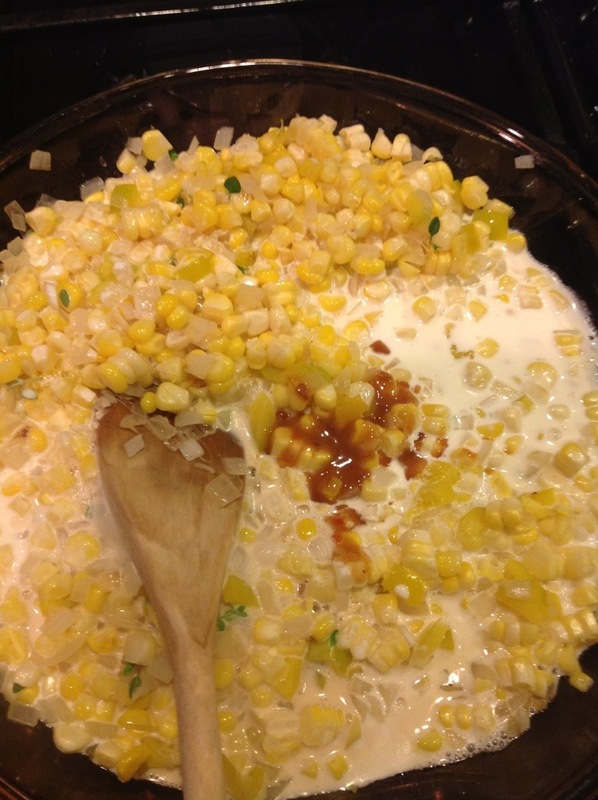 Add cream, thyme, salt, pepper, and hot pepper sauce and simmer until the mixture is thickened, about 5 minutes. 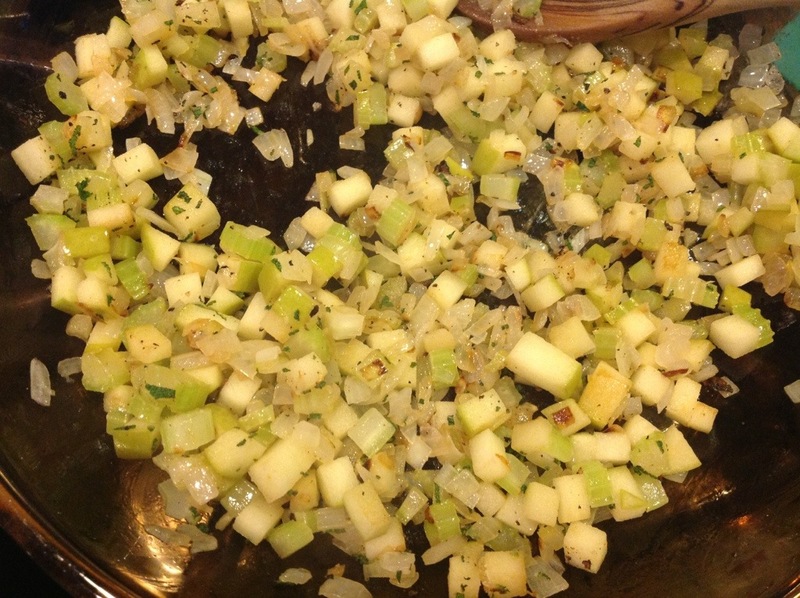 Stir in green onion and parsley. Transfer to a serving dish and serve with extra hot sauce to taste. When the hens come out of the oven, they are a beautiful caramel color and smell amazing. I let then reast about 5 minutes before halving them, and they are juicy and perfectly cooked through. 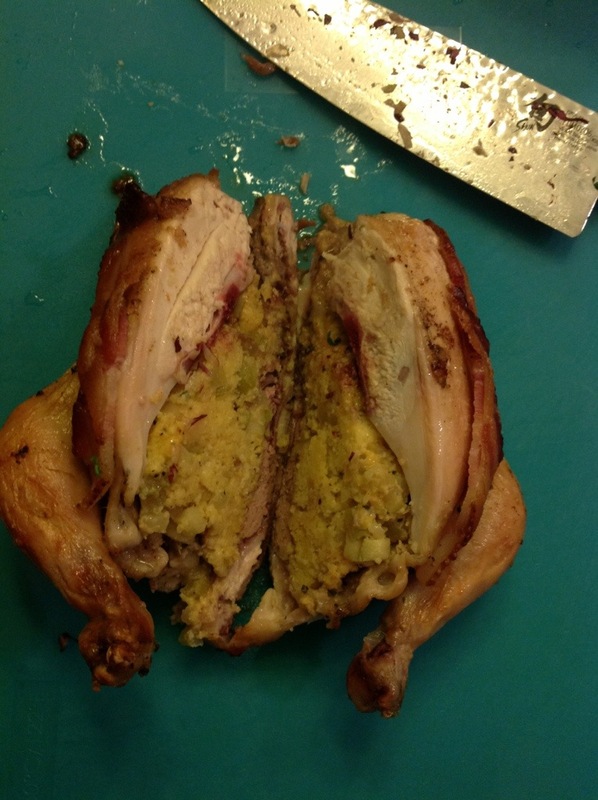 I served the chicken with the extra stuffing along with the maque choux on the side.